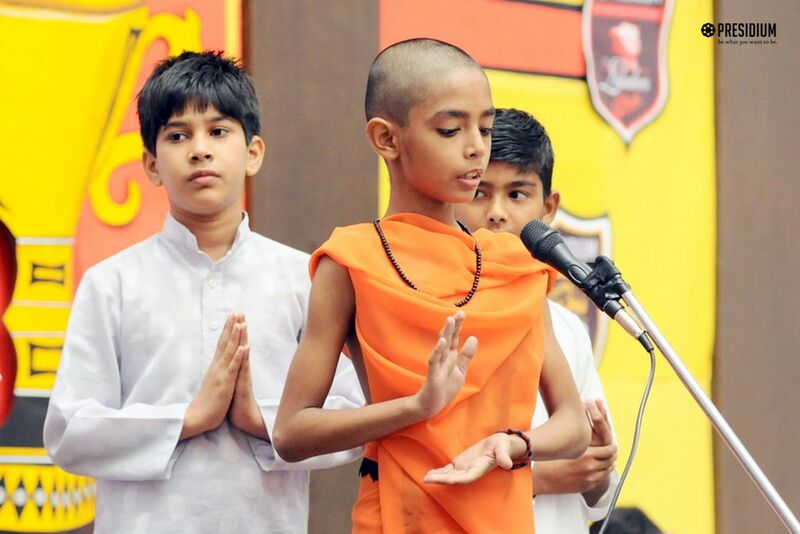 He seated himself beneath the Bodhi Tree in the meditation posture and vowed not to rise from meditation until he had attained perfect enlightenment. 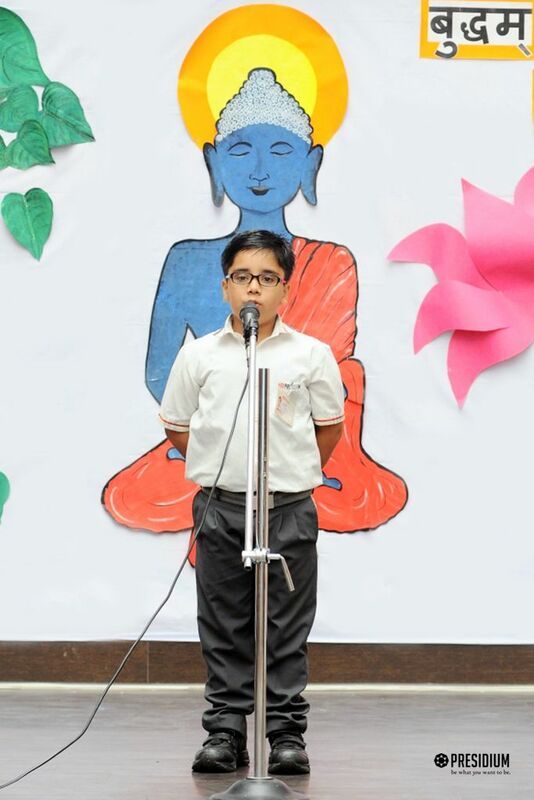 He, was Gautama Buddha! 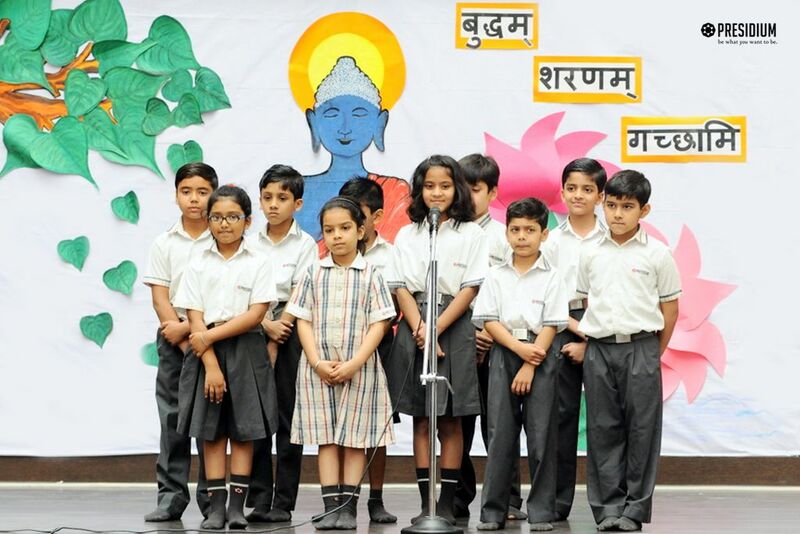 To commemorate the birth and enlightenment of Gautam Buddha , students of Presidium Raj Nagar celebrated Buddha Purnima with utmost veneration and sanctity. 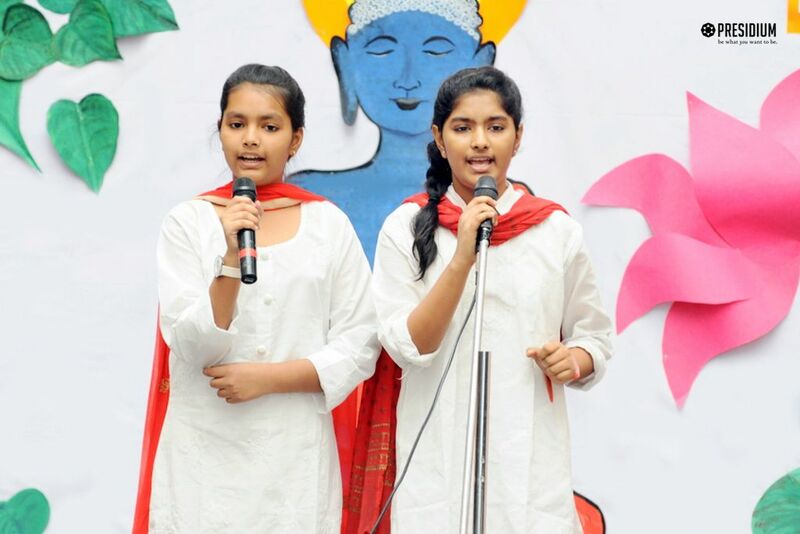 The students presented the famous - 'Buddham Sharanam Gacchami" mantra and a skit based on the life of Buddha. 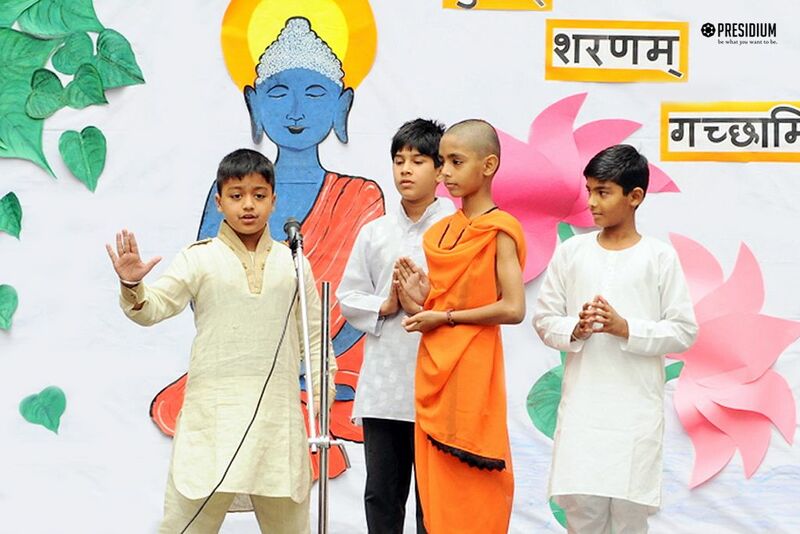 The performances mesmerized the audience and gave a glimpse of the life of a Prince who chose the path of wisdom and enlightenment over worldly desires. 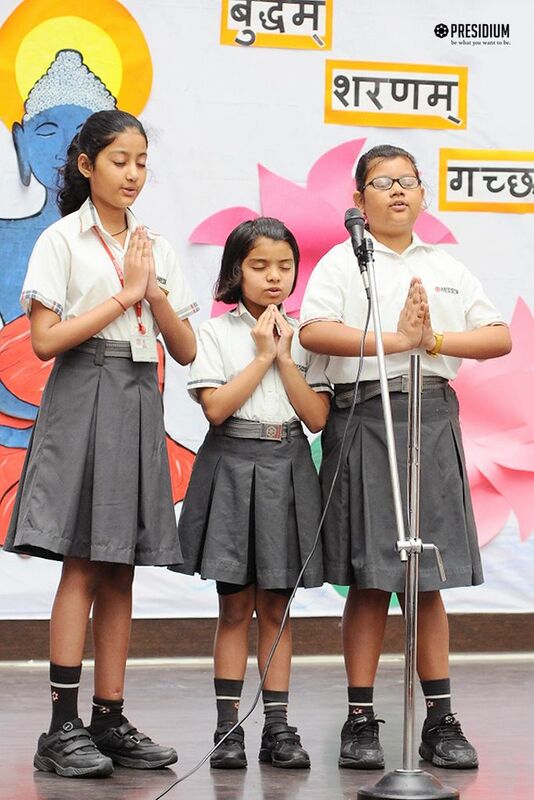 The students felt motivated to follow and practice the preaching of Lord Buddha in their life.